I have attended the past 3 years. It is a great conference. Beautiful, informative, well rounded conference. Very well organized! Excellent volunteers. Thank you for doing this. Very excellent conference -- good to be with people coming together for information and support. Great exhibit areas!! Looking forward to next conference. What a wonderful conference! I have attended 3 years! I always enjoy the doctors/researchers and survivor stories. Love this program! Definitely worth the time to attend. I recommend a Time to Heal. You're great people. Helping cancer survivors and their caregivers create their best lives, this special two-day event featured Olympic Gold Medalist Scott Hamilton, the world’s most recognized male figure-skating star. Honorary Event Chairwoman was Shirley Young, president of The Jim and Shirley Young Family Foundation, which funds initiatives to ease cancer-related hardships. Thank your for your support to the Celebration! Check back here for plans in 2020! Celebration Luncheon on Friday! Conference on Saturday! Thank you for your tremendous support to this event! The luncheon was supported by over 300 attendees: area businesses, community members, civic leaders, survivors, caregivers and medical professionals! 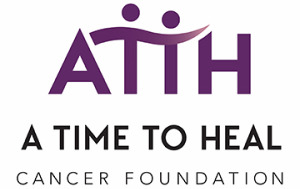 It was a wonderful opportunity to support cancer survivors and their caregivers, with proceeds funding A Time To Heal’s free wellness recovery classes and programs. Check back here for information on plans for 2020! Friday, April 12, 11:30 a.m.-1 p.m. Thank you for your support to the 5th annual conference, celebrating five years filled with Hope, Help and How-To's. This educational and motivating conference again brought together the best-of-the-best information and resources for anyone whose life has been affected by cancer. Saturday, April 13, 8 a.m.-1:30 p.m. Thanks again to Nebraska Methodist College Professional Development for providing Continuing Education credit for the April 13th conference!